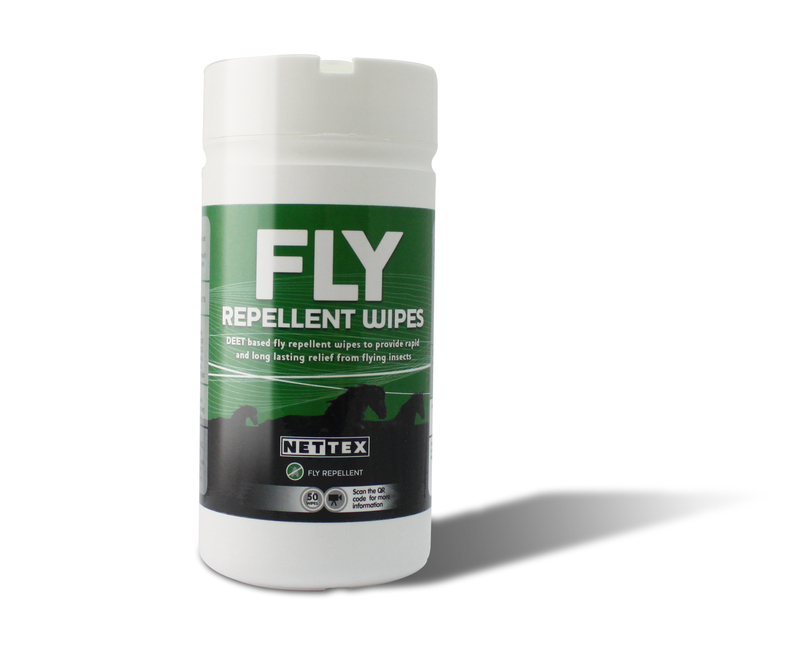 Nettex Fly Repellent Wipes contain DEET, as well as additional moisturisers & conditioners. They are a great alternative for horses that don't like sprays. They can also be used on sensitive areas, such as the face.